Snapfish - 11 Days of Photo Deals! It’s Snapfish’s 11th Birthday so they are hosting 11 Days of 11 Deals! Through April 5th you can take $11 off of any $25 purchase with the coupon code: 11CASH at checkout! Through April 4th take 50% Off All Photo Books with code : 11BOOKSBD. 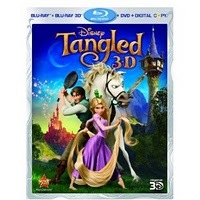 Disney's Tangled BluRay Combo Pack $14.99 TODAY! Head over and grab your Disney’s Tangled Blu-ray DVD or 3D Version coupon and Print NOW enter code HAIR! Walgreens Photo Deal : FREE 8x10 TODAY ONLY! Today begins Walgreens' 7 Days of Photo Deals! That usually means some great cheap and even FREE stuff! Today's photo deal is a Free 8x10 Single Image Enlargement when you use Promo Code: DEAL8X10. Check back daily for a new photo deal!